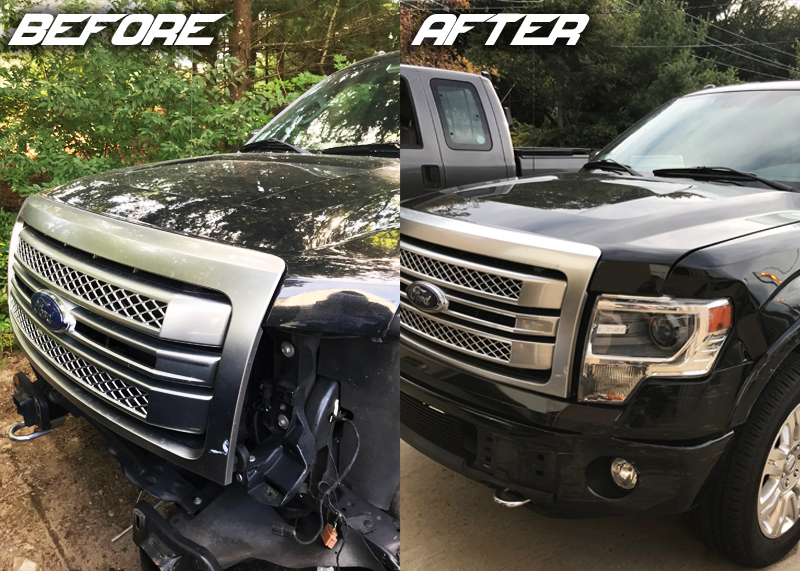 Need an auto body repair shop in Tewksbury area? Look no further! High quality replacement parts and repairs, qualified employees with fast turnaround time. 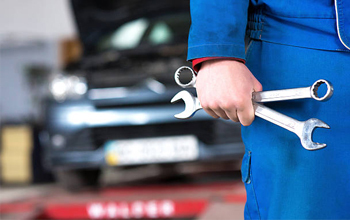 We'll get your car up and running and restored to its pre-accident condition. 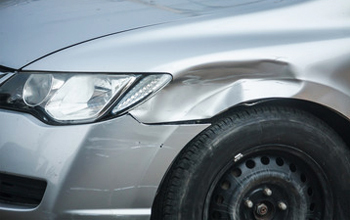 From structural frame repair to minor scratch removal and more, we know how important your car is to you. We treat it as if it were our own. 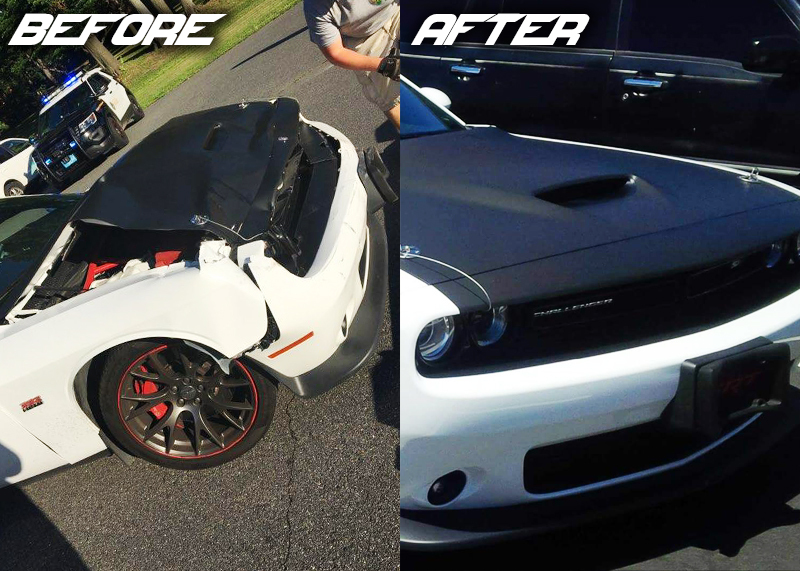 We analyze, assess and fix damaged vehicles including repairing, replacing and refinishing body parts. 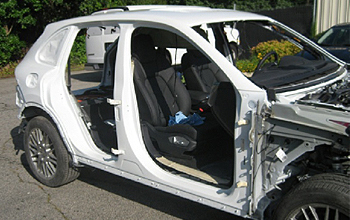 We examine the damage to repair any component bring back the structural integrity of the vehicle. 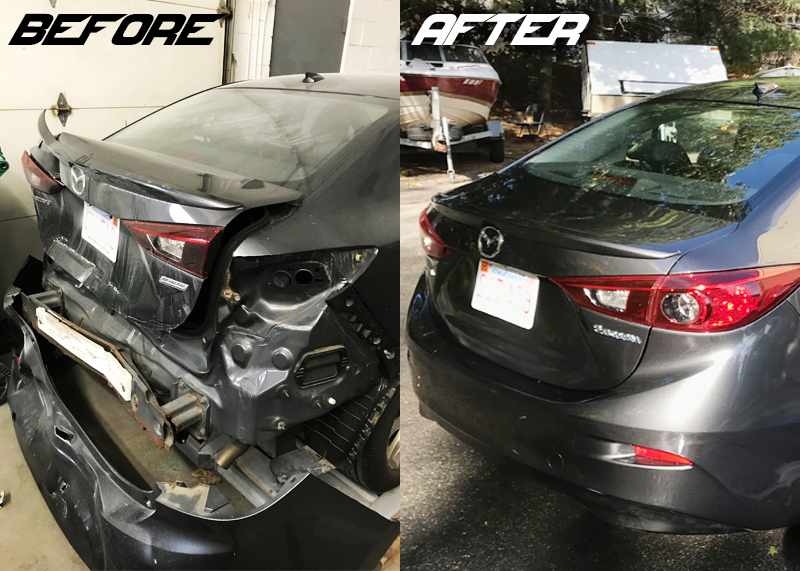 Come on in for a full Free Estimate by a Massachusetts Licensed Auto Damage Appraiser; located on Site! 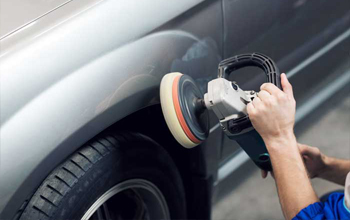 Removing scratches and paint is a process with leveling the paint surrounding the scratch and restoring it. 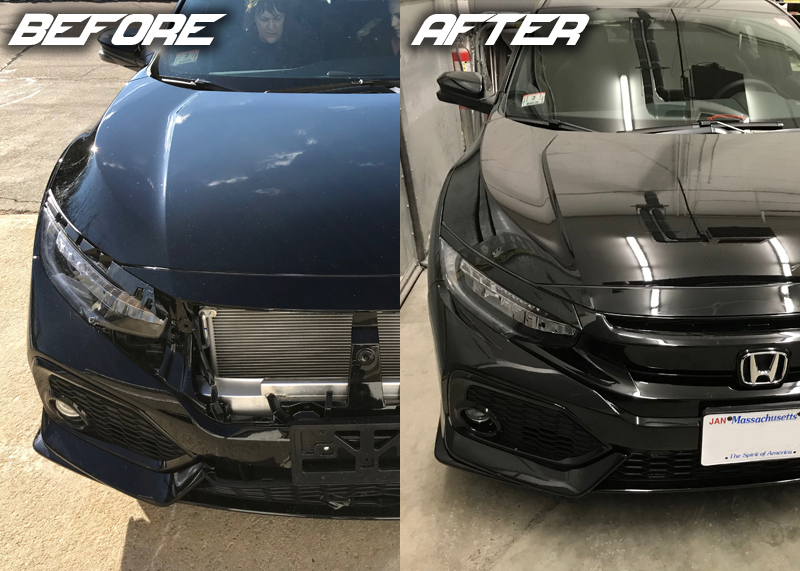 A wide variety range of damages of any kind can be repaired by employing paintless dent removal techniques. 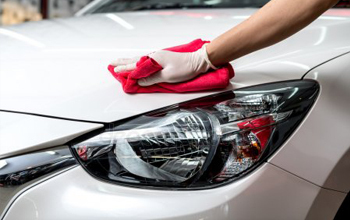 Upon completion of your vehicle repair, we offer a full complimentary interior and exterior detailing! More than a 5 STAR! Trust me I am more than satisfied with everything ~ from costumer service, price and workmanship! THEY ARE THE BEST! I came here to get a paint job and fix a dent on a Honda Accord and they were very friendly. Lowest price with the highest quality work AND they got everything done on time. Personable, extremely knowledgeable, going the extra mile to make sure your expectations and budget are met. You're sure you're getting great quality all around. The overall friendly business transaction and high quality work was amazing. I would definately use them again. If any of my friends needs a fix, this is the place to go. 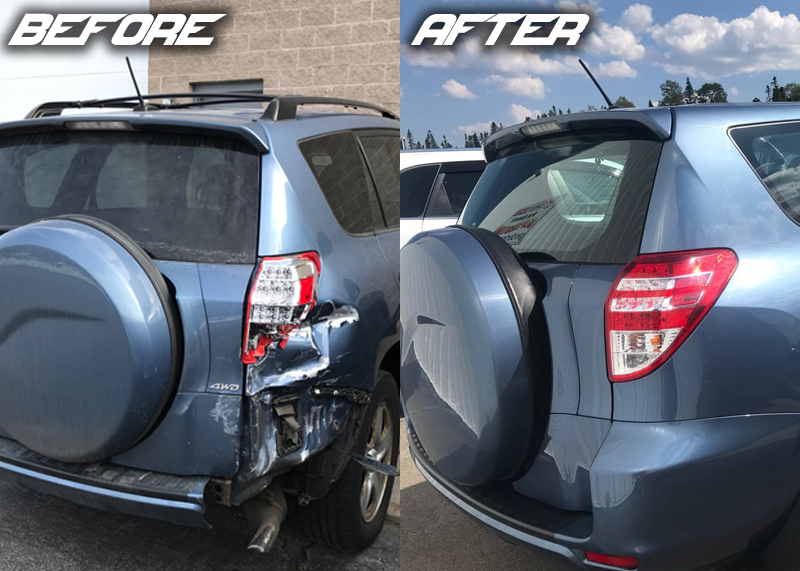 Looking for a auto body repair shop in the Tewksbury area? Look no further! 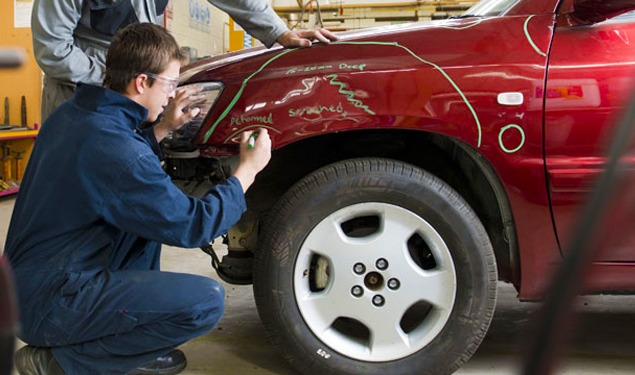 We offer top of the line auto body repair and refinish service for your car. 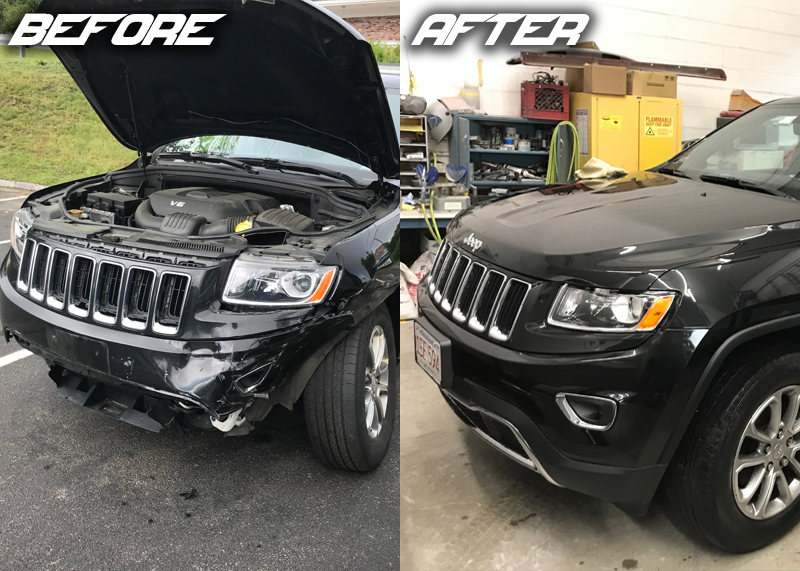 Copyright © 2018 Archstone Auto Body Inc. All Rights Reserved.